Subaru will launch its first-ever plug-in hybrid later this year, with a little help from Toyota. The 2019 Subaru Crosstrek Hybrid will use Toyota tech to push Subaru into new realms of fuel efficiency, while minimizing the investment the smaller Japanese automaker needs to make in a new powertrain. 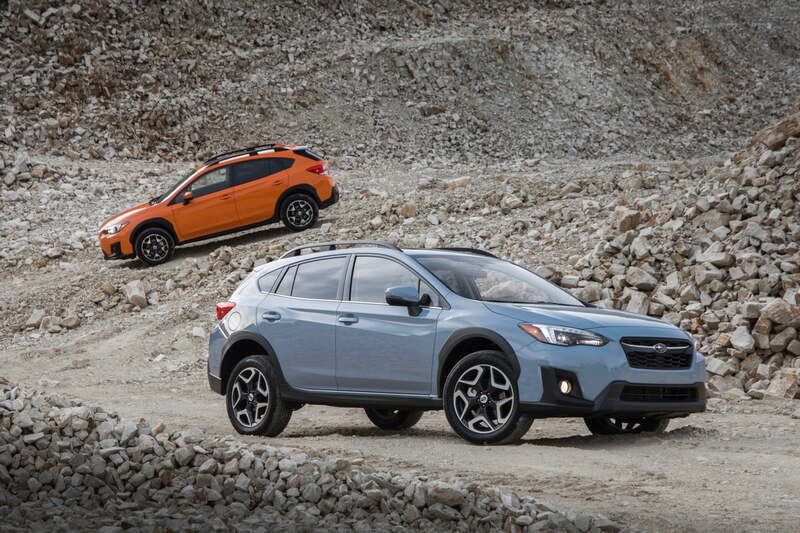 The new vehicle is named Crosstrek Hybrid — despite actually being a plug-in hybrid. Chrysler did the same thing with its Pacifica Hybrid minivan, and it’s possible that the naming scheme will cause confusion in both cases. Unlike conventional hybrids, plug-in hybrids can be charged from an external source, just like all-electric cars. That means plug-in hybrids can have larger battery packs, which in turn allows them to drive for several miles on electric power alone — something conventional hybrids can’t do. Sure enough, Subaru said the 2019 Crosstrek Hybrid can be “driven on pure electric drive [for] local commuting.” However, the automaker didn’t quote range or efficiency figures. Most details are being kept quiet until closer to the Crosstrek Hybrid’s launch. Subaru did say that the Crosstrek Hybrid will combine one of its own direct-injection boxer-four engines with a version of the Toyota Hybrid System used in the larger automaker’s numerous hybrid and plug-in hybrid models. Power will be sent to all four wheels through an “all-new transmission,” Subaru said. The Crosstrek Hybrid will also have different styling from the non-hybrid model (pictured above), according to Subaru. The Crosstrek itself is basically an Impreza hatchback with a taller ride height and more SUV-like styling elements. Partnering with Toyota gives Subaru access to plug-in hybrid tech without spending the considerable sum needed to develop it. The two automakers previously partnered on the twin Subaru BRZ and Toyota 86 (previously sold in the United States as the Scion FR-S) sports cars, collectively nicknamed “Toyobaru” by fans. Subaru offered a hybrid version of the previous-generation Crosstrek, but without a plug. It was only offered from model years 2014 to 2016, and didn’t offer much of a fuel-economy advantage over the non-hybrid Crosstrek. The 2016 Crosstrek Hybrid was rated at 31 mpg combined (29 mpg city, 33 mpg highway), compared to 29 mpg combined (26 mpg city, 33 mpg highway) for the non-hybrid model when equipped with a CVT automatic transmission. With a plug-in hybrid powertrain and the capability of sustained all-electric driving, the 2019 Crosstrek Hybrid should do better. But we won’t know for sure until closer to the model’s launch later this year. Stay tuned.